With a standard evergreen wreath, some basic materials, tools, and know-how, you can create your very own distinctive holiday creations. Here are three variations with step-by-step tutorials to guide you along. One of the easiest ways to decorate your home for the holidays is with a seasonal wreath. There are many options available, from pine-studded, ribbon-draped, natural pine variations to those bearing dried fruits, nuts, berries, bells, and more. And of course, there are artificial wreaths that not only offer seasonal cheer, but the benefit of long-term storage and reuse. You don’t need to spend a lot of money to add some beautiful holiday cheer to your front door, mantel, window, or family room. 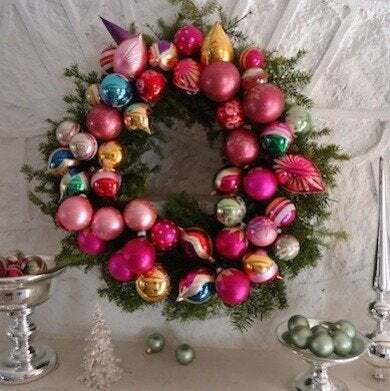 Nicole Esposito Polly, a New York-based floral designer, decorator, and former style director at Country Living magazine, shows us just how easy it is to transform a standard evergreen wreath into three distinctive show-stoppers (with step-by-step tutorials for each one). While it looks professional and store-bought, this Holiday Pinecone Wreath is actually a simple make-over of a standard evergreen wreath. Don’t be intimated—or envious. Just gather some pine cones, spray paint, and floral wire and you can create one of your very own just in time for Christmas. 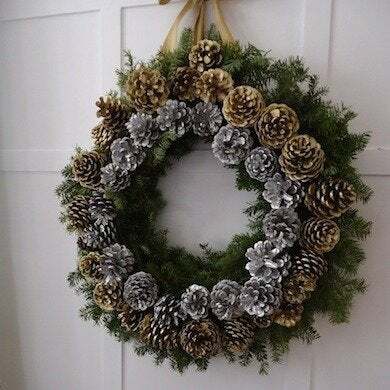 Follow this step-by-step Pinecone Holiday Wreath Tutorial. Children will love this holiday wreath adorned with wooden blocks that spell out the season’s greeting—Merry Christmas. 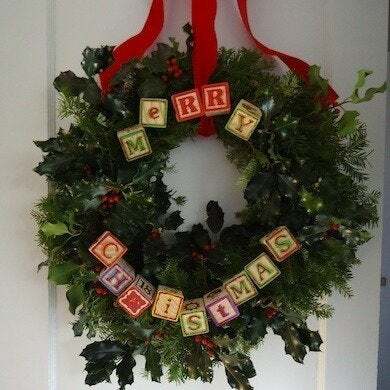 Best of all, it’s a project you can do yourself by purchasing a standard evergreen wreath and a couple of supplies, and following some easy-to-follow steps. Here’s how to make this delightful Children’s Building Block Wreath. If you’ve now collected more ornaments than your tree can handle, consider putting them to good holiday use with an ornament-decerated wreath like this one. While it looks difficult to construct, it is really the perfect do-it-yourself project. With a plain evergreen wreath, ornaments, floral wire, glue and snips—and some know-how—you can make one in an hour or so. 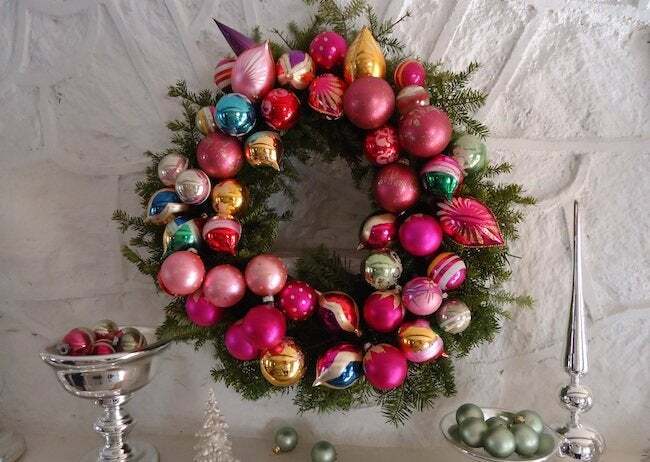 Just follow these simple steps to make your own Vintage Ornament Wreath.